Welcome to a difficult platforming journey! Run and jump through various levels to reach a great treasure! Hidden gems! Can you find them all? 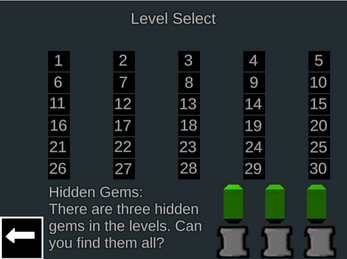 Perfectly designed levels with a time limit to test your skills! 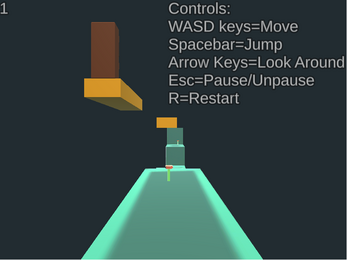 Level based game where you complete one level to move on to the next level! Difficult, challenging levels where the player has to restart once death occurs! 30 levels in the story! There are different ways to complete some levels! Can you find them all? Saving system! Progress saves as you complete each level! Enjoy platforming in a 3D environment! 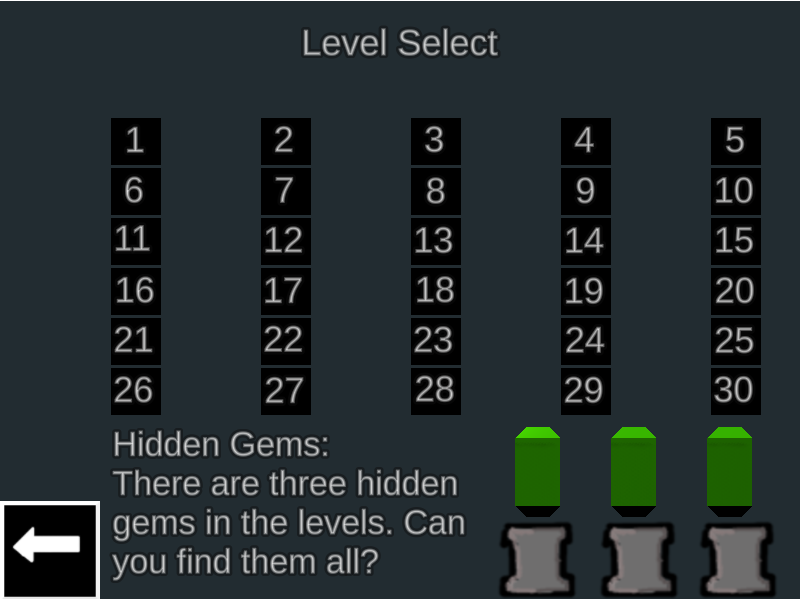 Reach the door at the end of each level to progress and avoid dangerous obstacles and traps! You are an experienced treasure hunter. Recently, you found the location of a grand priceless treasure. Its worth is incalculable. You decide to get the treasure. 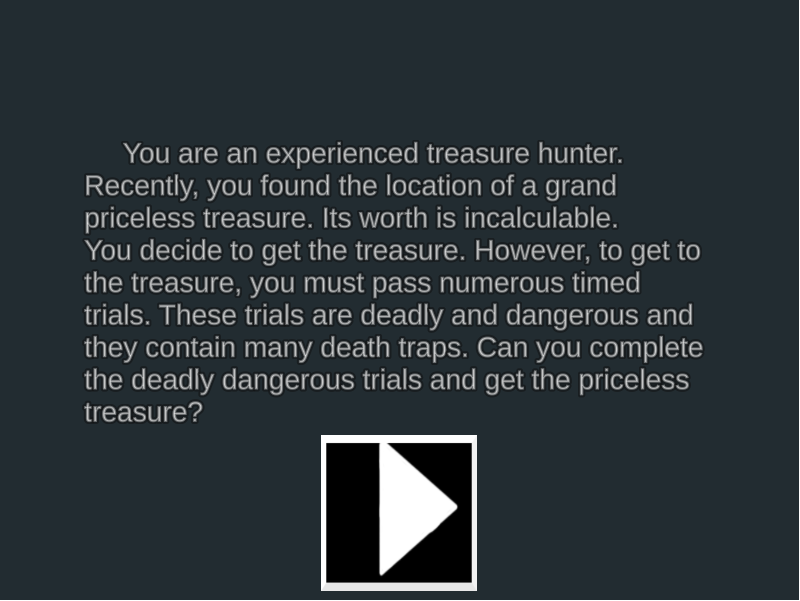 However, to get to the treasure, you must pass numerous timed trials. These trials are deadly and dangerous and they contain many death traps. 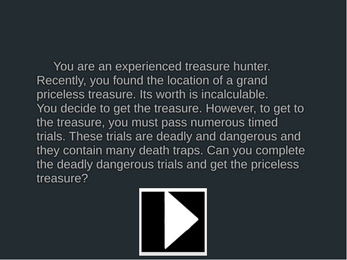 Can you complete the deadly dangerous trials and get the priceless treasure? This game is also available on Game Jolt!